Recently we carried out a Full Building Survey on a property in Croydon. 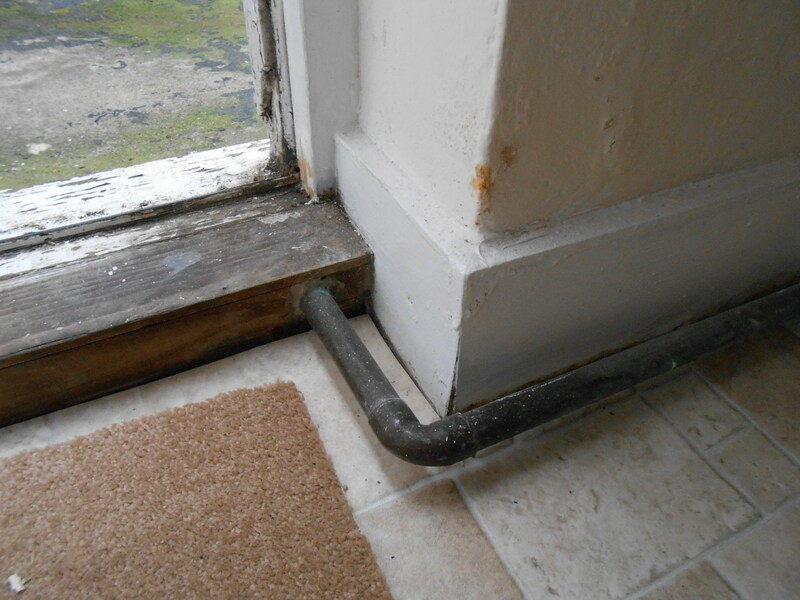 We came across this interesting installation of a gas pipe in a kitchen. Any movement would force the joints apart and cause a gas leak. Relocation of the pipe should be carried out or the pipe should be sleeved.